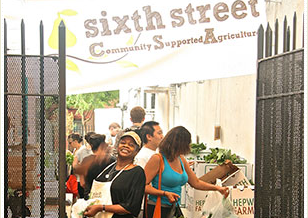 Sixth Street Community Center has one of NYC's first CSAs (community supported agriculture programs) and is going strong. The Organic Soul Cafe opens weekly and there are often flim screenings, exhibits etc. Upstairs, there's Yoga and several organizations hard at work on food related issues.